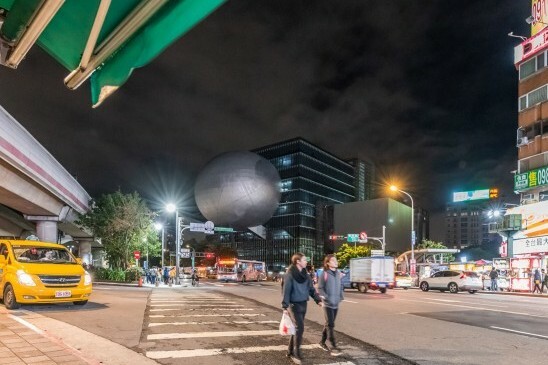 The Taipei Performing Arts Center, a theatre complex with three auditoriums that plug into an corrugated glass cube designed by OMA, is nearing completion in the capital of Taiwan. 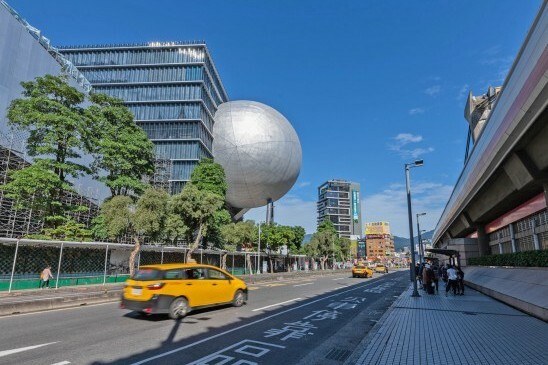 The latest photos released by OMA, the Rotterdam, Hong Kong and New York-based practice led by Rem Koolhaas, show the 50,000-square-metre complex's sphere-shaped auditorium without scaffolding for the first time. 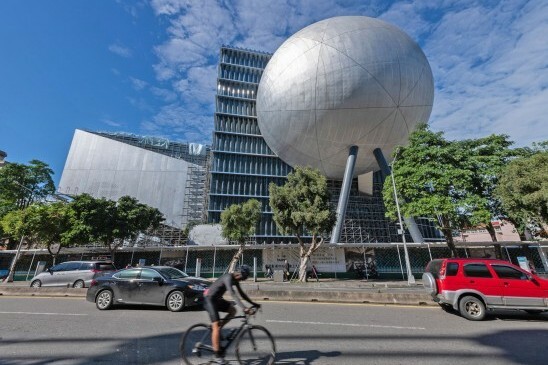 Named the Proscenium Playhouse, it is one of three aluminium-clad auditoriums in Taipei Performing Arts Center (TPAC), along with the Grand Theatre, and the Multiform Theatre. They will all protrude out from the main body of TPAC, a central cube with a facade of corrugated glass, which can also be seen in the photos. The building will be lifted off the ground to create a public plaza under the building. On completion, the auditoriums will be used separately or together, catering for a variety of configurations that will "offer new and experimental theatrical possibilities". The coupling of the Grand Theatre and Multiform Theatre will form the Super Theatre, which is set to be "an experimental, factory-like environment" that will allow "existing conventional works to be re-imagined on a grand scale". All of TPAC's backstage areas will be housed within the cube, which OMA has wrapped with a circulatory space named The Public Loop, designed for access by the general public as well as ticket holders.